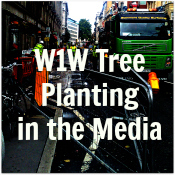 The objective of the W1W Tree Planting Initiative is to line the main streets of Marylebone and Fitzrovia with trees. The initiative has proven extremely successful thanks to a strong partnership between the local community – residents and businesses, Westminster Tree Trust and Westminster City Council. The project planted its first 40 trees on Hallam Street in 2009. 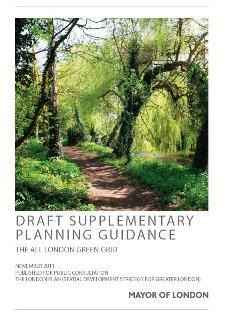 It has since grown with 12 subsequent phases to include a further 34 streets in East and West Marylebone with an aim to add at least 500 trees to the neighbourhood by 2012. By Spring 2017, over 650 trees have been planted on our central London streets. 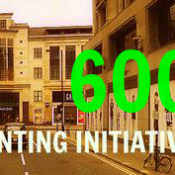 We are delighted to announce that we have surpassed our original goal of planting 500 new trees in Marylebone. The support and financial contributions we received from all sides to reach our goal have been nothing short of phenomenal. The funding for the trees was made possible through a match funding scheme with community donations being matched by Westminster Tree Trust and Westminster City Council. So far over £80,000 has been donated by the local community. 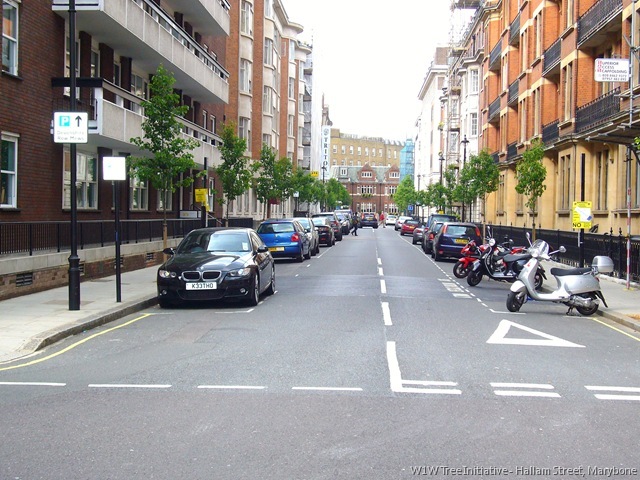 In June 2011, inspired by the forest of trees being planted on the eastern side of Marylebone High Street, a group of locals decided to form the West Marylebone Tree Initiative which would encourage tree planting to the west of the High Street. 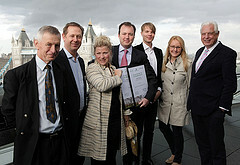 A major effort was also launched in September 2011 to plant trees on ten East Marylebone and Fitzrovia streets in the 2011-12 planting season. We have enjoyed a number of community celebrations to mark our progress. Matthew Wright of Channel 5 TV and the BBC planted the last of 40 our trees on Hallam Street in June 2009. 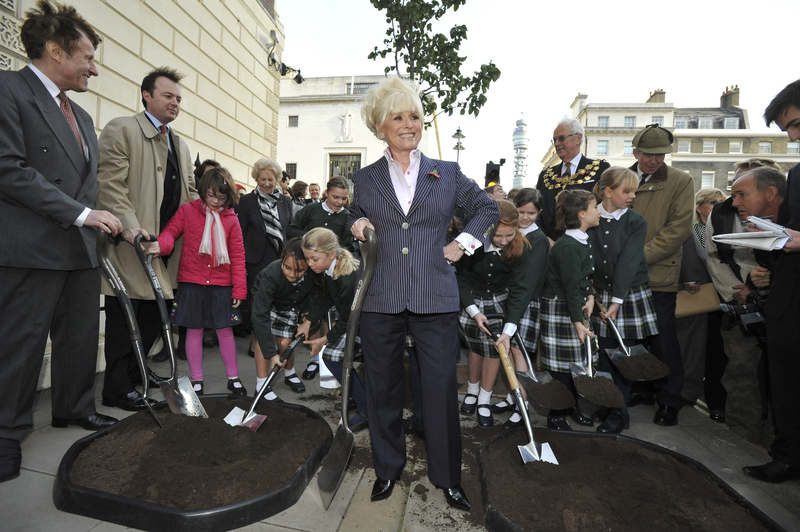 In November 2010, Barbara Windsor, actress and Marylebone local, planted the last of 53 new pear trees in Weymouth Street. In April 2011, Alan Titchmarsh, celebrity broadcaster and gardening expert, planted an elm tree to mark the arrival of 48 new trees in Bolsover Street. And in July 2011, Professor Lord Winston, the eminent scientist and fertility expert, planted the last of 49 chanticleer pear trees on New Cavendish Street. 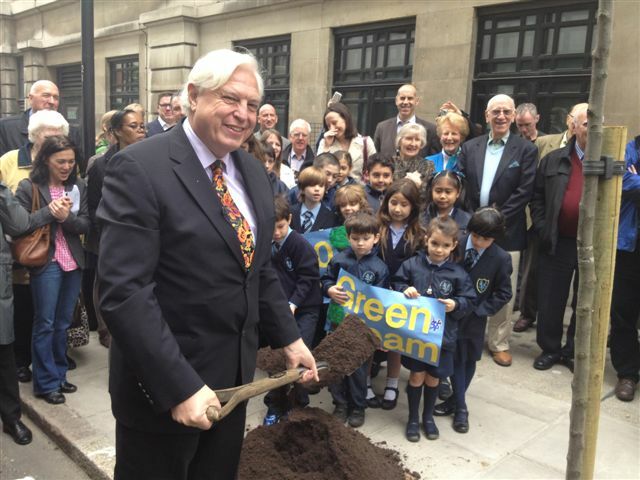 John Simpson, the BBC’s World Affairs Editor, planted our 500th tree outside Broadcasting House on 17 May 2012. Forestry Minister David Heath MP planted our 600th tree near Oxford Street almost a year later in May 2013. 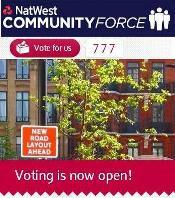 The Initiative has benefitted from support from all sides of the community. We are especially grateful for the generosity of The Princess Grace Hospital and The Harley Street Clinic, The Portland Hospital, Groundwork London (Forestry Commission), The Howard de Walden Estate, The Portland Estate, Ridgeford Properties and The Langham London. The Weymouth Street phase was also made possible by a generous contribution from Groundwork London through the Forestry Commission’s London Tree and Woodland Grant Scheme and Big Tree Plant. 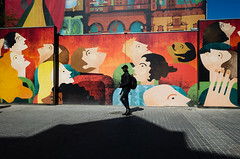 Furthermore, the Initiative was included in the local charity programmes of Sainsbury’s (Great Portland Street) and Waitrose (Marylebone High Street). The Initiative is especially grateful for the support of Westminster City Council without whom little progress would have been possible. The arrival of these new trees for Eastern Marylebone marks the first extensive return of trees to the area since these streets were first laid out in the mid 1700’s. We are also grateful for the enthusiastic support we have received from the members of the Marylebone Association at the organisation’s recent Annual General Meeting. 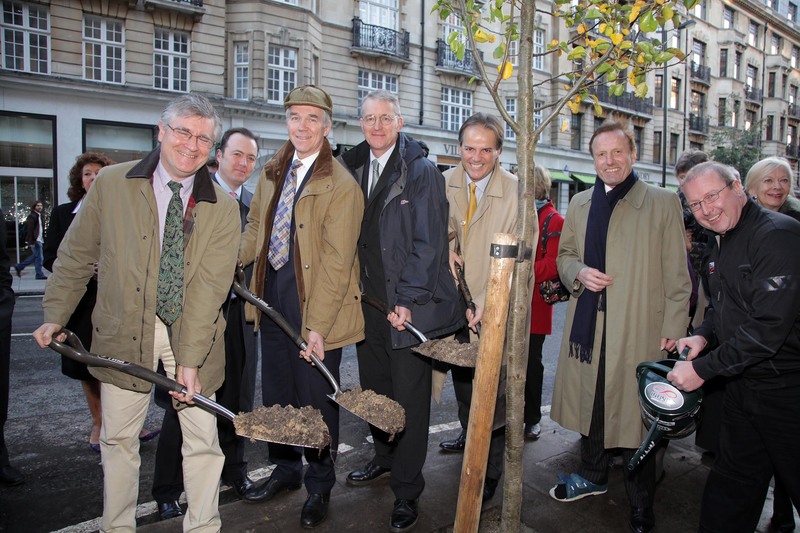 Our November 2009 ceremonial planting on Great Portland Street coincided with the launch of the UK’s 35th National Tree Week. To mark the occasion, a celebratory tree was planted on the street by The Rt Hon Hilary Benn MP, Secretary of State for the Environment, Food and Rural Affairs; assisted by Tim Rollinson, Director General, Forestry Commission; Alisdair Douglas, Chair of the Board, The Tree Council; Mark Field MP, Cities of London & Westminster; and Julian Maslinski, Chairman, Westminster Tree Trust. Considerable efforts has been made to extend the benefit of the tree lines into the streets of West Marylebone, East Marylebone and Fitzrovia. This effort was underpinned by the Fitzrovia and East Marylebone Forest concept document published by ARUP. The document seeks to identify a number of townscape and public realm interventions and to encourage local residents, businesses and organizations to support the implementation of these interventions. We are most grateful for all the effort put into creating this advocacy document to improve our neighbourhood. Finally, we would like to personally thank every volunteer who supported our activities and helped us collect contributions for our trees during the many phases of the Initiative. Without your help we would not have been able to deliver these wonderful results. 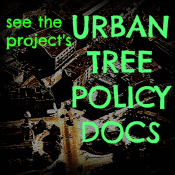 All tree planting is subject to local authority survey and consent. This entry was posted in AN INTRODUCTION, Fitzrovia, Marylebone and tagged Broadcasting House, fitzrovia, green, grid, london, marylebone, planting, street, tree, W1, westminster. Bookmark the permalink.